Books about goddesses are generally lyrical, lovely—and flat. Tabloid reflections of the mindless, wealthy, beautiful women who laze around the pool at expensive spas. Ladies with nothing to do but pamper themselves and devise schemes for enhancing their desirability to the powerful men who make of them trophy wives, until they fall afoul of their husbands by having an affair or getting old, ugly, and shrewish. When these vain creatures compete with each other, things can get seriously out of control. Think of the Iliad, its vicious war leading to the death of heroes and the utter destruction of Troy—all starting with a goddess beauty pageant gone awry. Circe, an unwilling goddess at odds with her environment and dysfunctional family of Titans, is the exception to the rule. At least, as conceived by Madeline Miller, she is. Born to the Titan god of the sun Helios, and daughter of Oceanos, the seductive nymph Perse, she with “a mind like a spike-toothed eel,” Circe (“Hawk”) is rejected as the runt of the litter and derisively named for her yellow eyes and thin, birdlike cry. 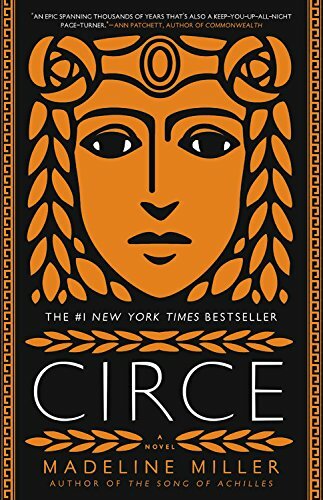 Alienated from her nasty siblings, especially the twins Pasiphaë and Perses, Circe spends her childhood trying to make a place for herself in her squabbling family of bitter grand uncles, aunts, and cousins still smarting over their conquest by the Olympian gods. Circe’s early model for alienation from both his own Titan relatives and their Olympian rivals is her uncle Prometheus. Illustrating his un-godlike empathy for mortals, Prometheus steals the gift of fire from the god Zeus and, passing it on to humanity, creates civilization in the process. Punished for his crime, he is left to hang on the wall of Helios’s palace while a vulture plucks out his liver, which is magically renewed each day, so that the plucking can begin all over again. Pitying her outcast uncle, Circe slakes his thirst with a cup of nectar and is thanked for her kindness, realizing all the while that she will not count for much one way or another, and that she will inevitably be punished for it. Cutting herself one night, she discovers that she bleeds and that, unlike the other divine beings in her family, she is not part of “that dark water” but “a creature within it.” Circe’s unique outsider status perfectly positions her as an observer of the gods, free to expose their cruelties, idleness, vanity, and petty rivalries. But Miller isn’t satisfied with merely cataloging immortal foibles. It is Circe’s perspective, her strong identification with human beings that enlivens the tension between gods and humans. Were it not for their interactions with creatures whose death makes them interesting, why else would the Greek mythological pantheon be worth writing about? Not being subject to emotions like fear and self-contempt, gods are exempt from human failings. Yet Circe has always yearned for that hidden “human” part of herself that makes her different, and therefore more worthy than the gods. Centering on transformation, the plot turns on Circe’s discovery of her power to use and manipulate pharmaka, “the yellow flowers that grow from Kronos’ spilled blood and turn creatures into their truest selves.” Banished by her father to the remote island of Aiaia, Circe at last comes into her own as a witch, capable of taming lions and making pets of wild wolves, and taking no less than the god Hermes himself as a lover. Miller rescues her story with a gory interval at the palace of her sister Pasiphaë, whose tortured birthing of the Minotaur, a monstrous bull, requires Circe’s midwifing magic. Circe returns to her island and continues honing her witchcraft. Then, just as the reader is about to lose patience, the mortal men she’s been longing for arrive from the sea, bringing with them their hunger and lust, forcing her to turn them into pigs. Undaunted, the men keep coming—after all, to them she is only a woman, and theirs for the taking. These gruesome encounters set the stage for Odysseus, who, thanks to Hermes, has been given the antidote making him the only man impervious to Circe’s spell. Spellbinding in its own right, their love affair, Odysseus’s departure, and its aftermath consume the rest of the book. Unable to resist injecting her feminist take on the relationship, Miller, as Circe, muses on the meeting with Odysseus portraying her as “the proud witch undone before the hero’s sword, kneeling and begging for mercy. Humbling women seems to be a chief pastime of poets. As if there can be no story unless we crawl and weep.” An ironic observation, considering that it is Circe who determines the course of their relationship, releasing Odysseus only when she is ready. Accompanied by Circe’s introspection, each episode in this compelling novel provides a piece of the extended bloody genealogy that birthed the Greek heroes, gods, witches, seductresses, and demons that undergird the “classical tradition” of Western literature. Perle Besserman is the award-winning author of a number of novels and short story collections, including the recently published The Kabbalah Master: A Novel. Her short fiction and creative nonfiction have also appeared in numerous national and international publications. Her most recent nonfiction title (co-authored with Manfred Steger) is Grassroots Zen: Community and Practice in the Twenty-First Century.